Every organization has a culture that encompasses its values and behaviors whether the organization strives to cultivate it or not. Forward-thinking enterprises take time to define and reinforce an understanding of their culture. A strong, clear, and consistent culture can increase job satisfaction and productivity by giving a workforce a sense of purpose. The inverse, however, is also true. An inconsistent and muddled company culture can undermine workers and weaken the organization. An organization’s culture is reflected in a myriad of ways including the office environment, the company’s mission, values, ethics and even how meetings are handled. An organization’s meeting style may not always reflect the culture its leadership wants to set. Consider what the following elements of a meeting say about your workplace environment. Who among us hasn’t felt the frustration of sitting through a meeting seemingly called for no reason and concludes without defined action items or decisions? A meeting with an ill-defined or non-existent purpose communicates a company culture that lacks focus and an ability to execute. In contrast, when you communicate the topic and intended outcome of a meeting in clear terms and follow through, you reinforce the sense that your company and employees have a shared mission and that the organization is aligned on how to accomplish it. Everyone invited to a meeting should have a reasonable prospect of contributing to the meeting’s objectives. When a company requires employees to attend meetings where their presence is superfluous, it communicates a lack of respect for the value of employee time and efforts. Conversely, when a company invites only those employees who can reasonably be expected to further the outcome of the meeting (or more radically still makes all meeting attendance optional), it conveys trust in its workers and concern for not wasting their time. 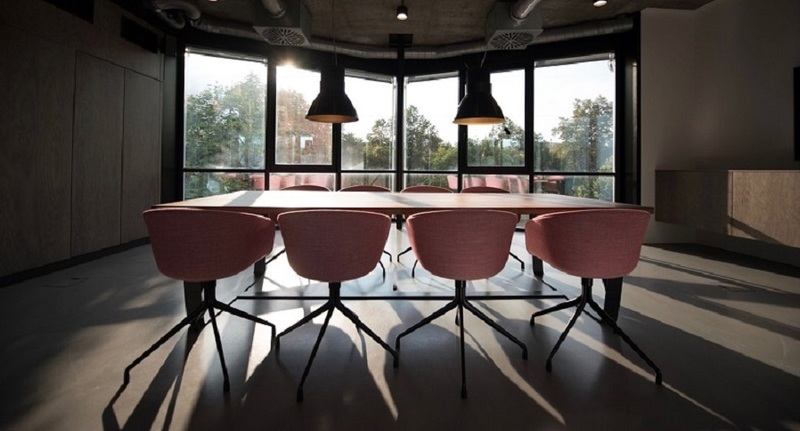 While not all meetings are conducive to an agenda – (i.e., ad hoc meetings are the spontaneous and quick collaborative sessions held in huddle rooms or transition spaces that don’t require agendas or scheduling) – for the most part, it’s best practice to create and stick to a meeting agenda while also adjourning on time. An organization that emphasizes promptness and focus in meetings actively demonstrates to its employees that it values their time and workload. All the factors above will dictate, to some degree, the nature of attendee participation at a meeting. One speaker may dominate some meetings out of necessity, whereas other meetings may require an equal amount of engagement from everyone in attendance. Regardless of the format, however, a company that treats every participant’s input with respect, and embraces critical analysis and questioning no matter the relative seniority of the participants, is one that shows it values and rewards excellence. An enterprise that reinforces its workplace hierarchy in meetings by squelching reasonable debate and discussion by junior team members, in contrast, risks alienating and eventually losing talent. Do Your Meetings and Culture Match? In our experience, there is always room for improvement in bringing a company’s meeting style into alignment with its culture. At Mersive, we strive to improve the meeting experience through the development and constant improvement of our wireless content sharing and collaboration solution, Solstice.